Virginia basketball put in an extremely confident and valiant performance against the No. 4 Duke Blue Devils, showing its mettle and holding its own against a top team on a nationally televised broadcast. The Cavaliers surprised many observers when it battled to a 27-all halftime score, and surprised many more when they kept the game close for the first 15 minutes of the second half. Although Duke's famed "Big Three" scored a total of 48 points, the Cavalier defenders generally did a fantastic job defending the three players to the best of their ability. The 48 points given up to those three doesn't give an accurate impression of the overall performance of the Virginia defense; the statistics do not fairly represent the overall positive performance put in by the Virginia squad. Virginia may have lost their ACC quarterfinal matchup against Duke, but the Cavaliers take away many learning points to ponder, analyze, and improve. 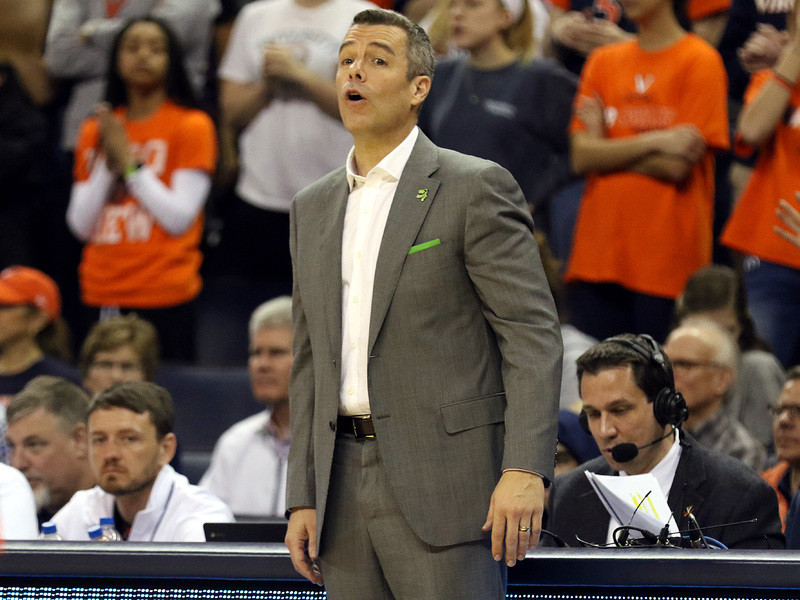 While the Cavaliers ultimately lost the Duke game because of their lack of athleticism, Tony Bennett will leave Greensboro understanding what realistically needs to be done to make Virginia an ACC and NCAA tournament contender. The point that Duke beat Virginia due to its superior athleticism is extremely important to consider because athleticism is a quality that generally cannot be improved through practice. After all, we do generally believe in the mantra "you can't teach a kid speed." While Virginia will not rise to Duke's prestige without time and sustained success because of this figurative "athletic gap" (I speak of elite ready-made athleticism, not Murray State-like raw athleticism), the Virginia squad can improve in other areas and compete. Bennett has already done a marvelous job improving the athletic facet of the team's nature, hauling an impressive incoming recruiting class that features two four-star players, and a bagful of solid three-star recruits. K.T. Harrell is an athletic and refined playmaker with great savvy, while James Johnson is an extremely talented and smart low-post player that will make an impact after some time in the weight room. The other recruits all contribute to the quality of Virginia's team through a blend of raw athleticism and defined skill sets. The infusion of these new recruits will compensate for the losses of Calvin Baker and Jerome Meyinsse. The loss of Baker will hurt more on the intangible side than it will on the court, but the loss of Meyinsse will definitely hurt the team unless his contributions can be directly replaced. Meyinsse's performance this season was nothing less than awe-inspiring and admirable. His story is a poster board for the head honchos at the NCAA and the University of Virginia—his academic notoriety and courageous rise to athletic respect is a story Bennett should frame and preach. Meyinsse was able to heavily contribute to this Virginia team with consistent post play. While often overmatched in athleticism, size, and strength, Meyinsse found ways to rise to the occasion against the biggest opponents and score in double figures. While Meyinsse lacks the body to play his quintessential low-post, under-the-basket style, he scrapped his way to points and rebounds and helped his team avoid blow-out losses in the stretch run of the season. Today against Duke, Meyinsse's lack of athleticism was exposed. Duke, and Brian Zoubek in particular, disallowed Meyinsse to position himself in the low-post, forcing Meyinsse to muscle his way to the rim. Meyinsse on many occasions during the game tried to outmuscle Duke's low-post defenders to no avail. Virginia's 32 percent shooting afternoon didn't help its cause. Virginia, unable to accomplish much shooting the ball or in the low-post, later shifted away from the shot-contingent motion offense and attempted to run dribble-drive sets toward the end of the game. Jontel Evans, the primary driver (due to Landesburg's suspension), was able to use his really good speed to break both Duke man-to-man and zone defenses, but was unable to finish. Sammy Zeglinski, the anointed playmaker before this game, also attempted to drive to no avail. The Virginia offense currently possesses too many unidimensional players, and lacks offensive diversity. Jontel can pass, Sammy and Mustapha can shoot, and Meyinsse can battle in the low post. The only players that possess any sort of offensive diversity and creativity are Mike Scott and Jeff Jones. Scott possesses a solid Kevin Garnett-like mid-range game to complement his low-post game, while Jeff Jones can both shoot and drive, albeit not with great quality. This lack of offensive diversity was extremely apparent in Virginia's scoring droughts against Duke. Virginia twice endured scoring droughts longer than five minutes, and constantly struggled to get its shots falling. Considering the foul trouble Duke's bigs were in throughout the game, Virginia would have been able to take the game had they been able to drive. A more refined driver such as Landesburg surely would have helped in that aspect, although Landesburg's presence would not have guaranteed a Virginia victory (as his presence could have adversely affected Virginia on the defensive end). It was definitely frustrating to observe Virginia's offensive struggles when Duke, on the other end, was able to get all of their shots to fall while struggling on offense for the majority of the game. Virginia played extremely inspired defense, frustrating Duke throughout the game with its wolf pack (i.e. pack-line) defense. Duke was able to move to ball, but was unable to meaningfully pass and create offense through its offensive sets. While the Virginia players were overmatched in terms of size and athleticism against Singler, Smith, Scheyer, and Zoubek, they held their own for the majority of the game. Duke for the majority of the game failed to break Virginia's zone. Virginia did encourage the Blue Devils to drain the shot clock and force shots, which was a smart tactical decision from Tony Bennett. Duke was granted good shot opportunities, but those shots did not fall. Lulled to sleep on offense, Duke's poor rebounding positions (along with Zoubek's absence due to his early foul trouble) fueled the Virginia fast break that kept the Cavaliers in the game. Duke, on a good day, would have most likely beat Virginia by a wider margin, but the Cavaliers held their own and performed admirably. Nonetheless, while Duke struggled on offense and only shot a modest 38 percent on the afternoon, Duke showed its true grit and scored when it needed to score. Duke's innate athleticism eventually wore down the Virginia defense and prevailed. In the game dynamic, great teams and players often find ways to score points (and make the effort look easy)—Nolan Smith in the first and early second half, along with Singler and Scheyer in the closing stretch of the match. Virginia was helpless stopping Smith's Monica Wright-esque pull-up jumpers and Scheyer's determined scrap baskets. No defense can stop that sort of individual playmaking; Virginia couldn't have realistically stopped Singler's no-look, backwards overhead pass in the second half. Virginia's defense is staunch and solid, and simply lacks the offensive complement to make the team's defense a game-winning factor. Virginia needs to focus on emulating the sort of offensive spontaneity that Duke and other top teams possess to move forward, and take the first step towards postseason relevance. K.T. Harrell will be the focal point of this offensive refocus. Aside from Landesburg, who may not remain with the team, Jones, who simply lacks the talent to compete at the high-major level, and Tristan Spurlock, Harrell possesses the type of playmaking ability needed for Virginia to take the next step. Freshman recruits outside the top 10 prospects often do not heavily impact team success in high-major play, although I have the feeling K.T. Harrell and James Johnson will immediately contribute next season. Johnson, who possesses every low-post scoring move in the book and has some range, will provide a low-post complement to Mike Scott. The team's rebounding ability should improve providing both low-post players workout and strengthen up in the offseason. Harrell and Mitchell are players that possess the intuitive playmaking ability the current Virginia team so desperately needs. Assuming Spurlock or Landesburg stays—or both—and improves in Bennett's system, Virginia should be prepared to compete in the ACC next year. Virginia showed us in the early part of the season that confidence and fan excitement alone can carry a Virginia team to ACC success (my previous article, pre-Duke game discusses this). These two factors, combined with a reload and upgrade in talent and additional experience, should bode well for Virginia basketball in the future. Assuming the players do their part and work hard in the offseason in the classroom and on the court, Virginia basketball should be slotted for a mid-table ACC finish, and NCAA tournament contention. From there, it's up to the Virginia fans to get behind the team and become that sixth man. Virginia will not become better relative to the top teams in the ACC, since Duke, North Carolina, Maryland, Wake Forest, and NC State hauled in extremely impressive recruiting classes that are better than Bennett's. Nonetheless, if Bennett can mold his players to perfectly execute his system and maintain their innate basketball qualities, he will have a better and more well-rounded team that Virginia fans can get behind and be proud to support.